The Black Stars of Ghana are probable to get tough opponents in the 2019 Africa Cup of Nations draw. 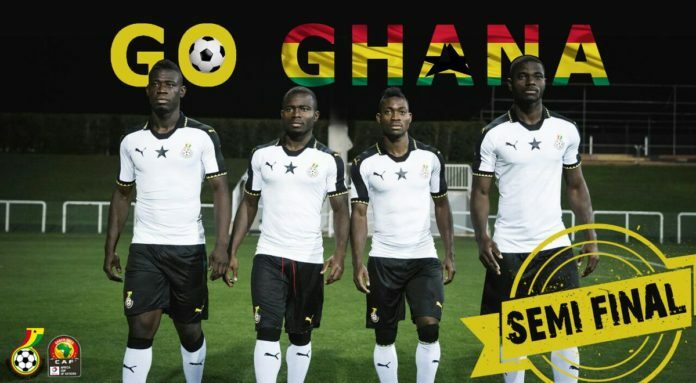 Ghana have been seeded in Pot 2 alongside Ivory Coast, DR Congo, Mali, Guinea and Algeria. The Confederation of African Football (CAF) has opted to use the current FIFA Ranking of national teams to seed countries for today’s draw. Hosts Egypt, Cameroon, Senegal, Tunisia and Nigeria are pitted in Pot 1. South Africa, Benin, Madagascar, Mauritania, Uganda and Kenya are in Pot 3 with Zimbabwe, Namibia, Tanzania, Guinea Bissau and Angola in Pot 4. The draw will be held in Cairo, Egypt this evening. The 2019 Africa Cup of Nations will run from 21 June to 19 July and will for the first time have 24 teams. Pot 1: Egypt, Cameroon, Senegal , Tunisia, Nigeria and Morocco.